Pinot Gris Christmas presents are always best wrapped up! We’re in the Christmas spirit already! In fact, we’ve already wrapped our Christmas shopping — and yours too! Our limited release Christmas Giesen Estate Pinot Gris is decorated and ready to pop straight under the tree (or in the fridge). The perfect gift for every wine lover, this vintage of Giesen Estate Pinot Gris has won a Trophy & two Gold medals already. Treat yourself or if you’re feeling generous enjoy it with family and friends. This holiday season’s big trend is giving the gift of experiences and our Christmas Pinot Gris will make any occasion a memorable celebration. Is your diary full of holiday parties and family gatherings? This Pinot Gris is the perfect host gift or accompaniment for BBQs and BYOs as its an especially versatile food-friendly wine. Our Estate wines showcase distinctive regional varieties which are generous, smooth, relaxing and most of all taste great. This Pinot Gris will entice your taste buds with aromas of fresh pear and peach. Rich fruit flavours with a touch of creaminess and subtle spice linger into a refreshing, off-dry finish. The Giesen Estate Pinot Gris is a delicious blend of carefully selected fruit from Marlborough, Waipara and Hawke’s Bay. Fruit from Marlborough adds acidity to the wine, Hawke’s Bay gives stone fruit flavours, Waipara delivers beautiful aromatics, blossom. 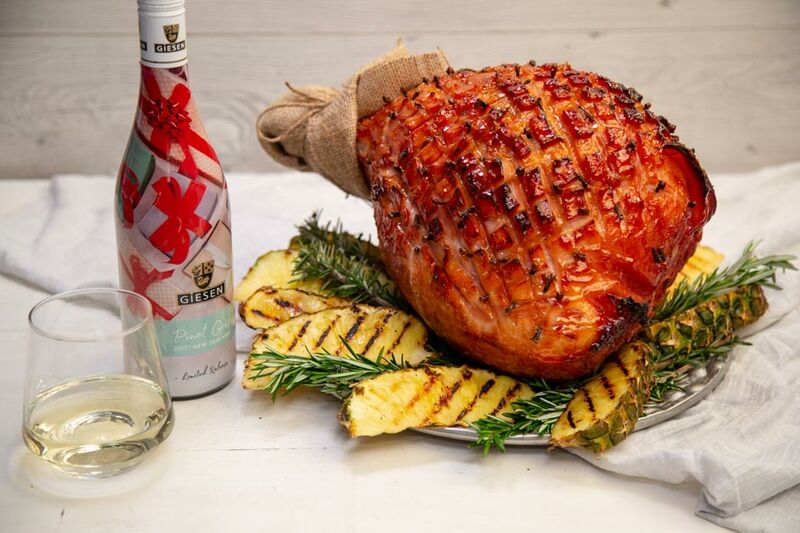 If you’re creating a beautiful Christmas Ham this year, pour a glass of our Pinot Gris as a food match made in heaven! If you’re looking for more detailed information including the latest vintage notes, follow this link to learn more about the Giesen Estate Pinot Gris. Take a look at the limited release Riesling and Sauvignon Blanc.